In so many ways, this year is the beginning of new traditions for our family. The biggest and most exciting being baby’s birth day! It’s still a toss up as to if baby will arrive before, during, or after Christmas but forever more Christmas and this sweet baby’s birthday will be around the same time. I know it’s rarely anyone’s favorite to have a birthday around Christmas, but I’m pretty committed to making them separate events for this little one. And, worst case scenario, I figure we can do something small on his actual birthday and then let him go all out on his half birthday. Anyways, with baby on his way, many of our regular traditions have been sidelined since I’m sticking close to home and laying low. But, Jemma and I are obviously not giving up on preparing sweet treats! That is a tradition we will never forgo! 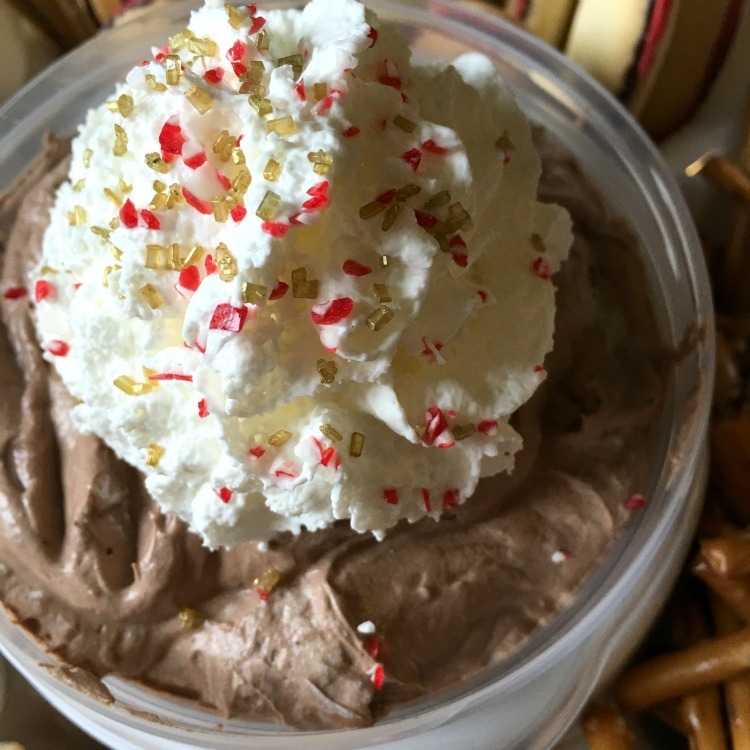 We’re both tickled to add Hot Chocolate Dip to our annual list of favorites. Beware — it will soon make your list of Christmas traditions too! It is that scrumptious and will no doubt be making an appearance year after year around here. 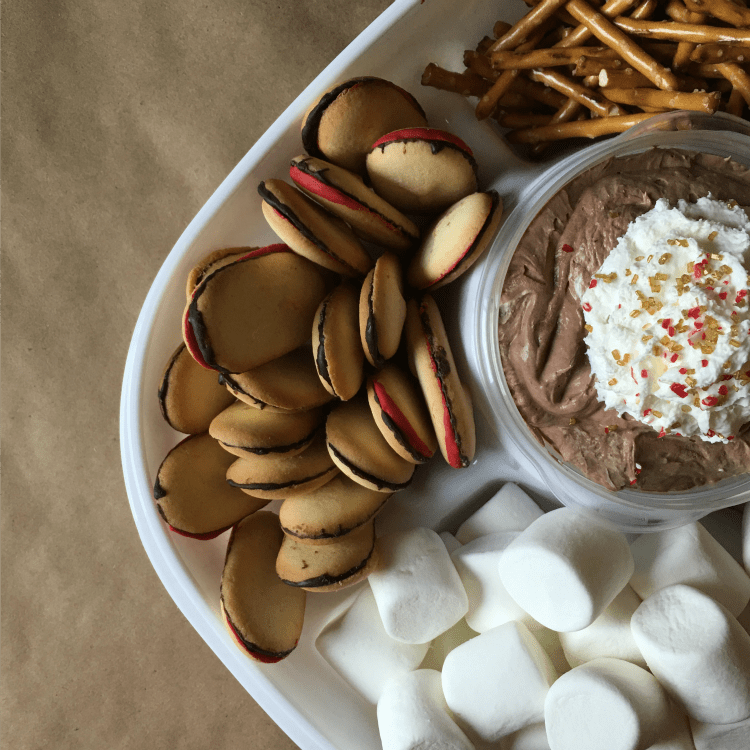 Maybe we’ll even pop a birthday candle in it for brother in the coming years :) Hot Chocolate Dip (with coordinating dippers — see below for a billion ideas) is perfect for on the go holiday events too. It’s a total party pleaser and with the Rubbermaid Party Platter, transporting is easy peasy. Mixing up the dip is by far the simplest part of filling your party platter; especially if you have a stand or hand mixer. It takes less than 10 minutes. 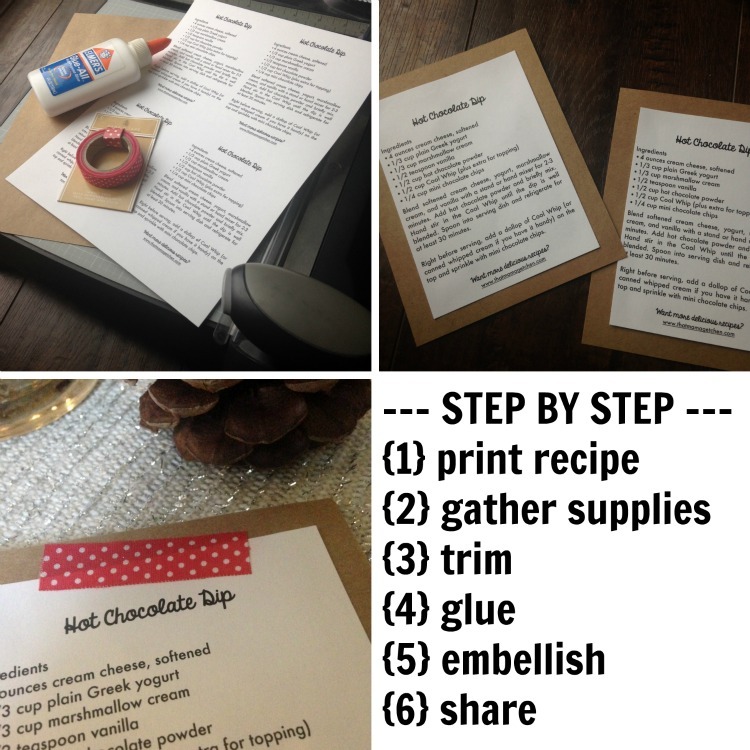 The real work comes when deciding what edible surprises should take a plunge INTO the Hot Chocolate Dip. If you’re up for the excitement, I recommend taking your kids along to the grocery store when you purchase goodies to fill your platter. Jemma and Max both studied our platter as I tossed out ideas of what they could choose. With four spots, they each picked two favorites from the aisles of Fred Meyer. This time the winners were vanilla wafers, marshmallows, chocolate peppermint cookies, and pretzel sticks. I took it upon myself to choose toppings for the Hot Chocolate Dip — whipped cream and mini chocolate chips to be added right before serving. Blend softened cream cheese, yogurt, marshmallow cream, and vanilla with a stand or hand mixer for 2-3 minutes. Add hot chocolate powder and briefly mix. 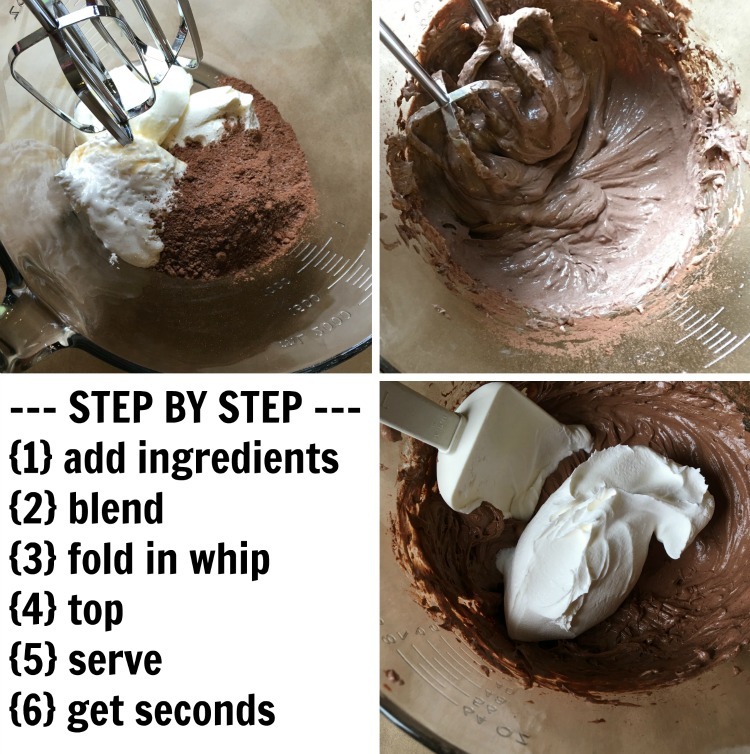 Hand stir in the Cool Whip until the dip is well blended. Spoon into serving dish and refrigerate for at least 30 minutes. Right before serving, add a dollop of Cool Whip (or canned whipped cream if you have it handy) on the top and sprinkle with crushed peppermint, sprinkles or mini chocolate chips ... whatever suites your fancy! 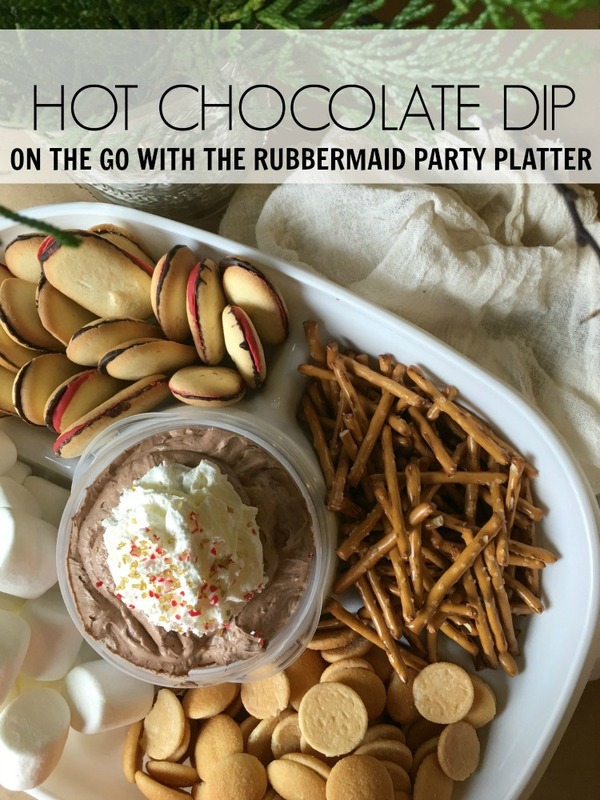 How would you use the Rubbermaid Party Platter to take your favorite edible traditions on the go? Share your ideas! 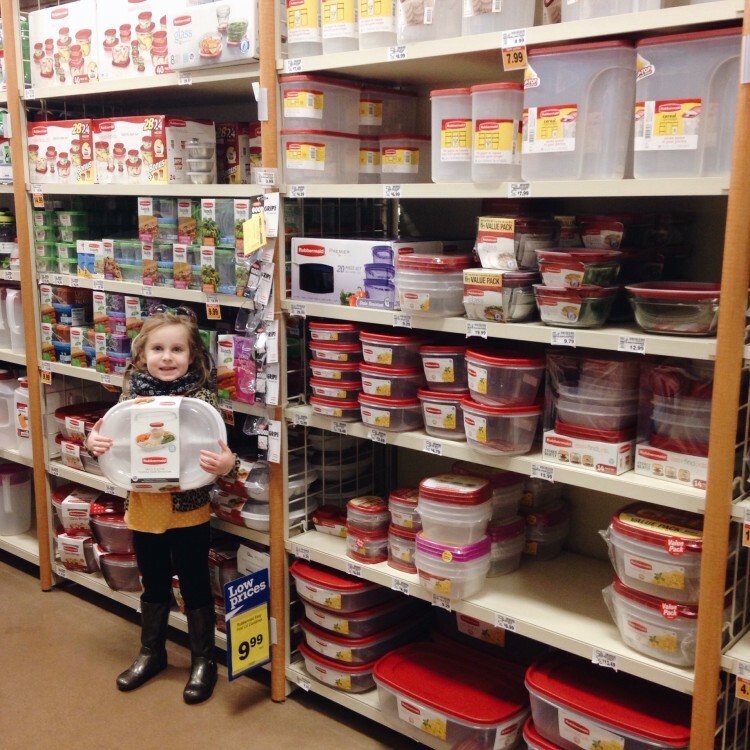 And be sure to earn $1 off when you purchase a Rubbermaid Party Platter at Fred Meyer. Oh, and to save you the trouble of answering, “OMG! What is in this? 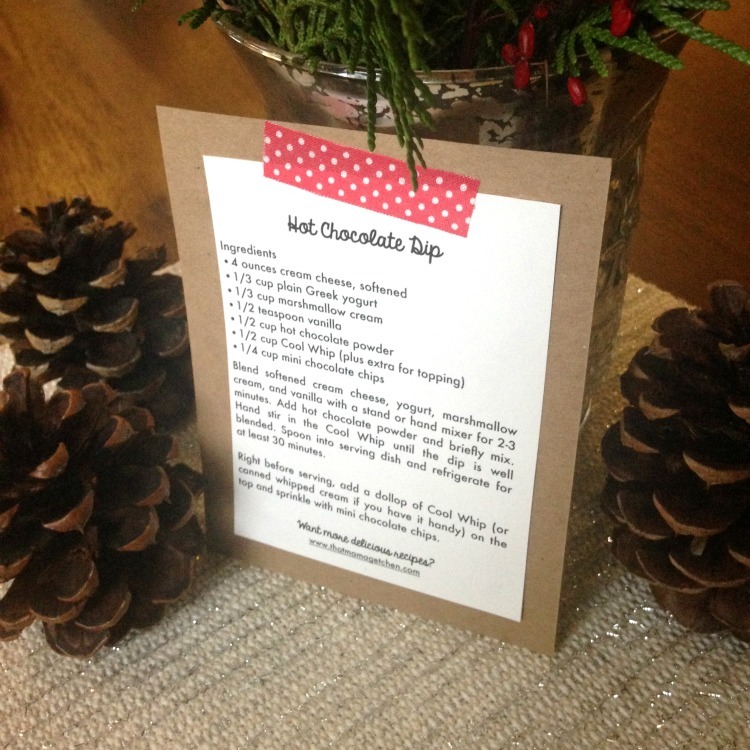 How did you make it?” when you serve up your own Hot Chocolate Dip at holiday gatherings, here is a pretty little recipe card you can hand out to those interested in adding it to their own Christmas traditions. 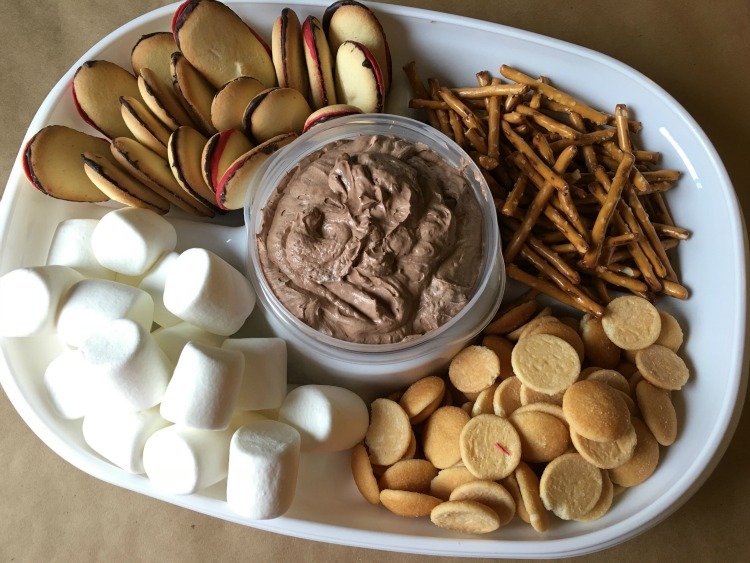 With your list of yummy ideas for dippers, I would need 3 party platters to get all of the ones I want! The dip turned out great; I love the festive crushed peppermint on top. Do you think this would work with regular whipped cream? We try to stay away from overly processed foods. It looks DELISH! Thanks!